Say 'hi' to Safia, a dining chair that's both elegant and urban. 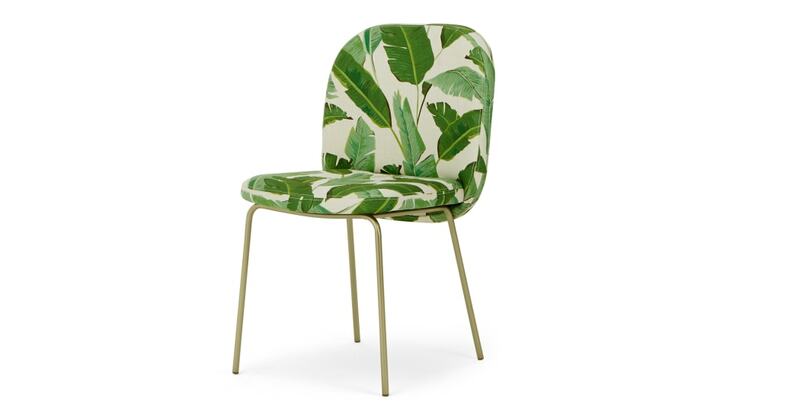 Check out the on-trend leaf print fabric, paired with slimline brass legs. Curves for days – Safia has a natural feel with rounded edges and organically shaped legs. The backrest has a slightly oversized shape, surrounding the seat-pad for a design-led touch. Our in-house design team are talented. They’ve created a dining range that’s got eye-catching impact with a compact footprint. Great for kitchens and smaller dining rooms.